How Dust / Waterproof Your Phone is? IP Certification Explained! 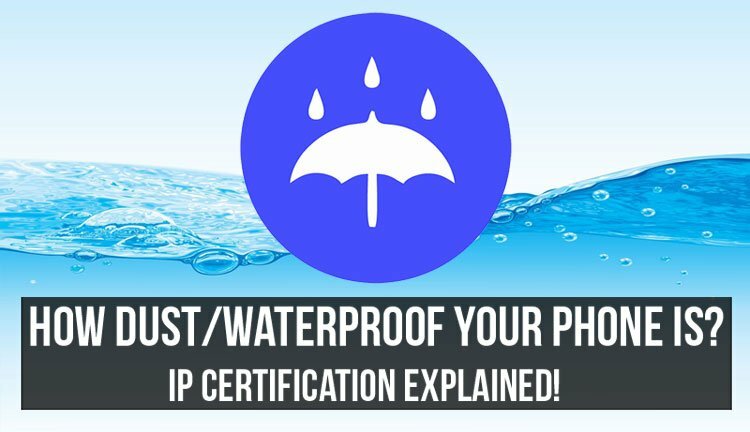 Ingress Protection rating IP Certification explained in detail to give you an understanding of how dust and waterproof your phone is. Read on to learn more. From being just another lifestyle feature to becoming an essential part of the spec-sheet. 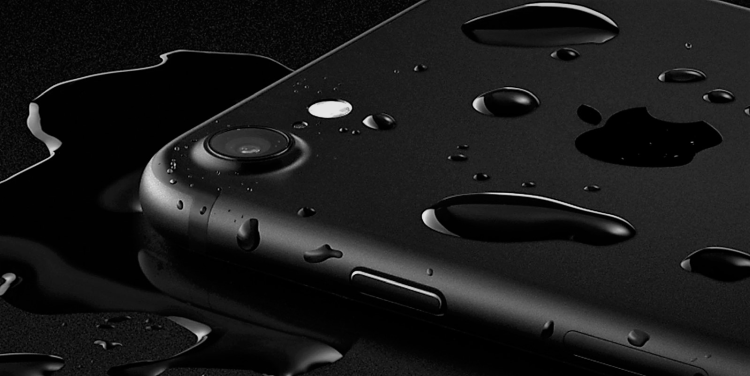 Yes, water and dust resistance has evolved as a trait for modern day smartphones, and how! A majority of flagships today boast a respectable water and dust resistance rating these days. As we hear all about IP56, IP67, IP68 et al and the fuzz surrounding the certifications, there ought to be some confusion. Normal logic does explain that higher the rating, better should be the robustness. But, it’s a little more complicated than that. Do you have an active lifestyle or are looking to ascertain the level of water damage that your next smartphone can bear? Let us come to your rescue as we try and help you determine how dustproof or waterproof your phone is and explain IP certification while at it. See, most smartphones and watches are rated for water resistance to a specific degree (as indicated by the IP or Ingress Protection rating certification). What this means, in theory, is that the device should ‘ideally’ survive unscathed when pushed to the limits as stated by the IP certification. Hence, in reality, no device is completely water ‘proof’ per se, but is resistant to water (and/or dust) to a certain degree. IP Certification: What do the 2 digits signify? You must have noticed that IP certification is mostly mentioned in IPxy format – X and Y denoting 2 digits. Here, the first digit (x) denotes the level of dust protection and the second digit (y) denotes water resistance. Confusing? Let us explain. How Relevant is the Dust Resistance Rating? Dust resistance is mostly measured on a scale of 0 to 6. With 0 offering no protection, to 5 and 6 offering levels of protection from contact with harmful dust. So, a smartphone with an IP rating of say IP53 has 5 as the first digit, and hence offers ‘partial protection from contact with harmful dust’. Google Pixel, anyone? On the other hand, a smartphone with a rating of IP67 or IP68 (or IP6y, we are talking about the first digit here) offers complete ‘protection from harmful dust’. Right! Samsung Galaxy S7 and the Apple iPhone 7. 4 = Protection from most wires, screws or similar objects (less than 1mm diameter). 5 = Offers partial protection from contact with harmful dust. 6 = Complete protection from contact with harmful dust. What About Water Resistance Rating? 4 = protection from water splashes. 5 = resistant to water jets from a 6.3mm nozzle at a set speed. 7 = protection from immersion in up to 1m of fresh water for 30 minutes. 8 = protection from immersion in ~1.5m fresh water for 30 minutes. 9K = protection from close-range high-pressure water jets. But hold on! It’s not done. There is another aspect that is covered in waterproofing as well – the amount of resistance offered against jets and faucets. Hence, there is an added rating for resistance to water coming from jets. This is again rated 0 to 8 (higher the better). Case in point is the Sony Xperia Z-lineup of devices, several of which have been certified against duress from dust, sand, water immersion, and targeted jets of water. Other manufacturers have mostly refrained from mentioning this, though. Conclusion: Ruggedness is Relative. Choose Wisely! This does greatly clarify the IP certifications, doesn’t it? The point is simple – it’s not just about sporting a badge of water resistance. Rather, if you have an active lifestyle, you need to take note of the relevant ratings for dust and water resistance or simply go with the higher rated smartphone. In a nutshell, all water and dust resistance ratings are preventive in nature against damage. Most major smartphone manufacturers including Apple, Samsung, and Sony do not cover their devices against water damage under warranty. Depending on how active a lifestyle you have and how much ruggedness you need from your device, the IP rating should be an important aspect for you to consider for you to determine how dust or water resistant your phone is. Have any doubts or want to share your own experiences with certain devices? Just drop your comments below! You may also like: VR – The Next Big Thing – Or a Big “No-thing”?